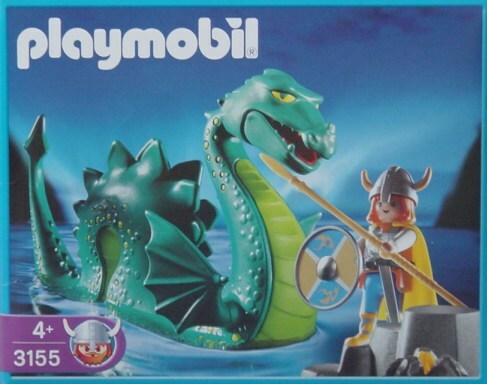 At the end of 2001, the first sets of the new Viking theme brought us the first look at the redesigned playmobil® boxes. Now, besides the forbidden sign for 0-3 years old, we also have a 4+ on one of the ends of the box (where the new head logo covers a larger part of the set picture). 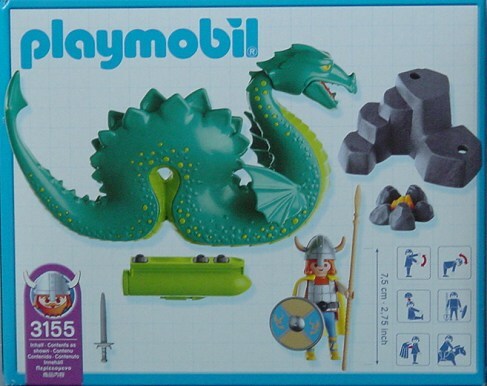 On the other end there's a drawing of a playmobil® head (the same one that appears on the official site, for the navigation, I think). 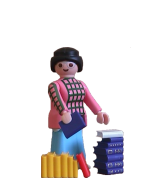 Also the back of the box is different - now it has little squares, maybe as a scale, to compare the size of stuff, since beside one of the figures is the height of the figure (7.5 cm, or 2.75 inches). Apart from that, and going back (way back!) 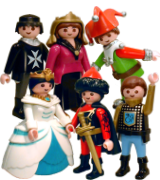 in time, there are drawings of a playmobil® man showing his various abilities and possibilities with accessories. Some ancient boxes showed a (much simpler) version of these drawings.